Doncaster has had its fair share of disasters; because of their nature, the railways and the coal mining industry feature largely under that description. The disasters at Cadeby and Bentley collieries are the most remembered in the coal industry, mainly for the great loss of life. There have been three major rail disasters in the Doncaster area. The first was at Hexthorpe ticket platform in 1887 when 23 people died and over 60 were injured. The second was opposite the bottom of Kelham Street in August 1947 where 18 died and the last was the Balby Bridge disaster of 1951 which claimed a further 14 lives. I remember the 1947 disaster pretty well. Doncaster Rovers had won promotion to the 2nd division just a few months earlier and Saturday August 9th was the final trial match before the start of the new season. It was a fine warm day and a large crowd had watched the red and whites beat the whites 3-2. Dad and I were avid supporters at the time and were keenly awaiting the start of the new season. Like many other Rovers supporters in 1947, we had made our way from Hexthorpe to Belle Vue by bicycle. On our way home from the match, we cycled along Carr House Road in the direction of Balby Bridge. As we passed through Hyde Park, we were alarmed at the number of ambulances and police cars racing up and down with bells ringing. “There’s something seriously wrong”, Dad said, so we decided to cycle on, instead of turning down Upper Oxford Street. On reaching Kelham Street and the Vine Hotel, we saw crowds of people either milling about or standing in groups, talking. At the bottom of Kelham Street, we stood on our cycle crossbars and peered over the wall bordering the railway and observed the carnage. Twisted carriages strewn about the track and people rushing about, helping where they could. “Right lad”, Dad said, “they can do without the likes of us around here”, so we cycled home, numbed by what we had seen. by V2 No. 936 ran into the rear of the earlier train, drawn by A3 Pacific ‘Persimmon’, at about 40 mph. As casualties were counted, it was established that 18 people had died and 50 were injured. 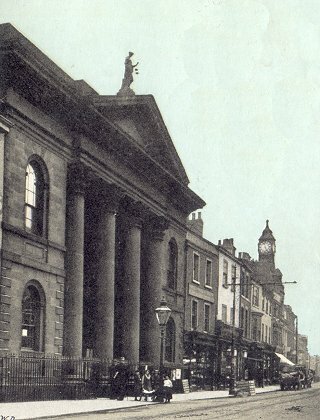 Local newspapers at the time were full of praise for the local residents, and described them as ‘big hearted folk from the Town’s little streets’. The Doncaster Chronicle expressed admiration saying ‘people engaged in doing all those things that make up a personal life, suddenly stopped to merge themselves into a composite team of rescuers ….., nothing that could be done was left undone, no piece of household equipment, very precious in those days of coupons and high costs, was withheld if it could be of use; people worked as one team with one thought, to help’. The inquest into the accident opened in the Guildhall on August 12th, before the Coroner, Mr W H Carlile, but was adjourned until September 17th. As the proceedings began, Doncaster Parish Church bellringers tolled a muffled peal in tribute to the victims. On behalf of the LNER, Mr F C Scott offered sincere sympathy and added, “The company would also like to put on record their very great appreciation of the tremendous amount of help that was given so quickly, for physical and material needs, by those who cared for the injured”. The Ministry of Transport inquiry into the crash opened in London on the following day, and in his report, issued on December 6th, the Chief Inspecting Officer, Sir Alan Mount, concluded that errors by a signalman had mainly contributed to the crash. This was amother in a series of major accidents in the Doncaster area, the next was to occur 4 years later, just 400 yards north at Balby Bridge. There are two reasons why I am very pleased to read Geoff Elvin’s article on the August 1947 rail disaster. The first because on the day of the accident I was on duty as a train register boy at the signal-box just to the rear of the crash site, and secondly because of a coincidental connection with the Doncaster Rover’s football team on their first match of the 1947 season on that day. First, about the crash: On the afternoon of August 9th 1947 I biked from my home in Rossington to Red Bank signal-box near Carr Loco Doncaster for the two o’clock shift – on a lovely sunny afternoon. My signalman then was Billy Sampson, an ex Great Northern signalman aged 54. Billy always wore his GNR hat on his bald dome of a head when on duty. I was about sixteen and half years old on the day of the crash. 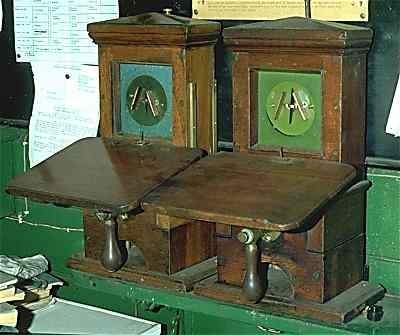 My main job was to record in my train register book every signalling action made by the signalman, to answer the telephones and to operate the single needle telegraph (Morse code) instruments. Red Bank’s call address on the telegraph was CO (-.-. —). The times of all trains passing Retford South, address YY (-.– -.–) were telegraphed to all boxes on the main line up to Frenchgate signal box in Doncaster. Retford telegraphed that express 956 passed at 16.16 and that 958 passed at 16.25. Balby Junction accepted red Bank’s bell signal for 956 normally, Billy pulled off the starter, home and distant signals and the express passed our box, Red Bank, at 16.36. One minute later (16.37) Balby jcn gave the train out of section signal and accepted the bell signal for train 958. Billy the cleared starter, home and distant signals for the second express. I stood at the open signal-box window to watch as 958, crowded with passengers, passed our box at fair speed at 16.41. Moments later I heard a tremendous roar as 958 ploughed into the back of 956 at Balby junction – less than half a mile ahead of Red Bank. I checked my register. “Yes, at 16.37,” I told him. Then Jimmy McKone, the signalman at Balby Junction was on the phone to Billy to tell that he “had wrecked” train 958. After that the afternoon went into a spin. Billy passed on the six bell signal to Down Decoy the signal-box to our rear. He went out of the box to put detonators on the track. Control wanted to know this and that. Bowler hatted inspectors came to the cabin with their note books to question Mr. Sampson … and me. They took my train register away to be examined at the train crash inquiry in London (Thursday 15/8/47). Another sixteen year old lad took a keen interest in the crash that day. It was Ron Geary, a pupil at Doncaster School of Art; a boy who was looking for a subject for his monthly art project. 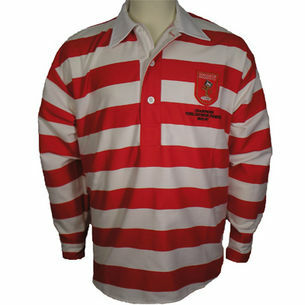 Ron’s father, James “Jimmy” Geary was Chief Scout for Doncaster Rover’s football club. In the forties he recruited players like Clarrie Jordon, Syd Bycroft, Herbert Tindall, Jimmy Woodridge, Ernie Swallow, Sinclair and Todd … On the afternoon of the crash Ron Geary’s father came home from a pre-season trial at the Rover’s ground and told his family about the crash. Ron, thinking this was just the subject for his August art project, grabbed his pencils and drawing pad , jumped on his bike and peddled from his home in Netherhall Road to Balby Bridge. When he got there he met crowds of people milling around the bridge trying to find vantage points to look down on the crash. Ron with his bike couldn’t get anywhere near, so back home he went without any material for his project. But that wasn’t the end of the story. Ron’s dad was a reader of the Sheffield Telegraph, and on the Monday following the Balby accident he bought his usual paper and there was a headline and picture of the Balby train disaster. Ron based his train crash project on the Sheffield Telegraph photo and made a preliminary drawing, then at the art school an etching of the crash scene. His topical crash drawing and the etching earned him high praise at the art school and gave a great boost to his confidence as an artist. Ron Geary donated his original drawing to me after he heard from my brother Ray, also an ex Doncaster Art School student, that I’d been on duty at Red Bank on the very afternoon he attempted to do his drawing for the August project (my brother Ray still lives and practices his art in Doncaster). Note: Ron Geary has lived near Vancouver in Canada for many years. Four years after the Balby crash, In 1953, I was on the early shift as signalman at Low Ellers Jcn when I heard about another rail disaster – this time at Balby Bridge, within half a mile of Balby Jcn. So when I finished my shift at 14.00 I biked to Balby Bridge to see what had happened. Four hours or so after that event I looked down from the bridge directly on to the crashed coaches reared up against the bridge structure – still with crowds of railway workers, police and ambulance people milling around … After departing from Doncaster station at 10.06 the driver of the train involved took the points leading from the station platforms to the main line at Bridge Junction at too high a speed and the locomotive and following carriages jumped the tracks and collided with the bridge. Frank Worsdale 20th September 2011. You can get in touch either by email - symeon.waller@talktalk.net or by telephone - 07813 315741.